Theresa May has recalled the heady days of Mrs Thatcher bashing Johnnie Foreigner whilst helpfully improving her dire poll ratings, by deploying a taskforce to deal with the aftermath of the Grenfell Tower fire. Just like Margaret Thatcher before her, Mrs May has sent in a taskforce to sort out problems resulting from a series of piss-poor risk assessments, in the hope that the public will revise their opinion of her. Doesn’t seem likely to us frankly, but miracles do sometimes seem to happen. 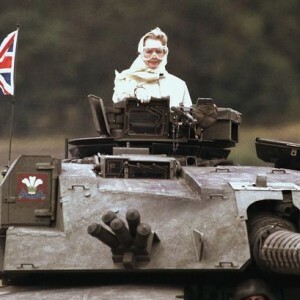 Of course, with the Falklands being 8,000 miles from the UK it took the 1982 taskforce a whole three weeks to arrive. With 21st century technology however, and the much shorter distance between Westminster and North Kensington, Theresa May’s taskforce arrived only twenty one days after the fire. A Downing Street spokesman said although the Canberra is long gone, the PM hoped to track down the QE2, so it can steam up the Thames and make her look Prime Ministerial.